In previous article we discussed about Scanning Phase. 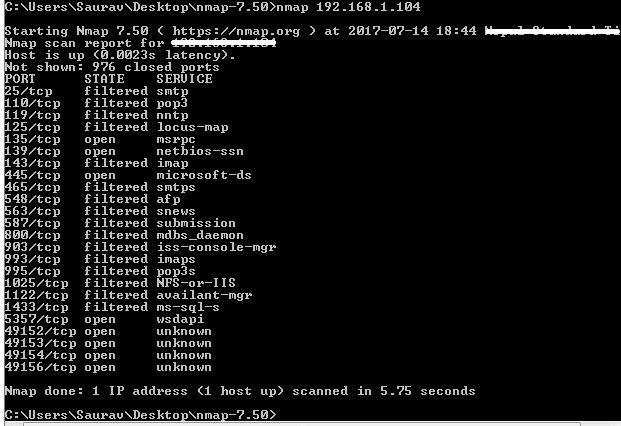 Now we will use tool called Nmap for our lab purpose, and we will see basics on NMAP. Basically, it is open source software that runs in all platforms. 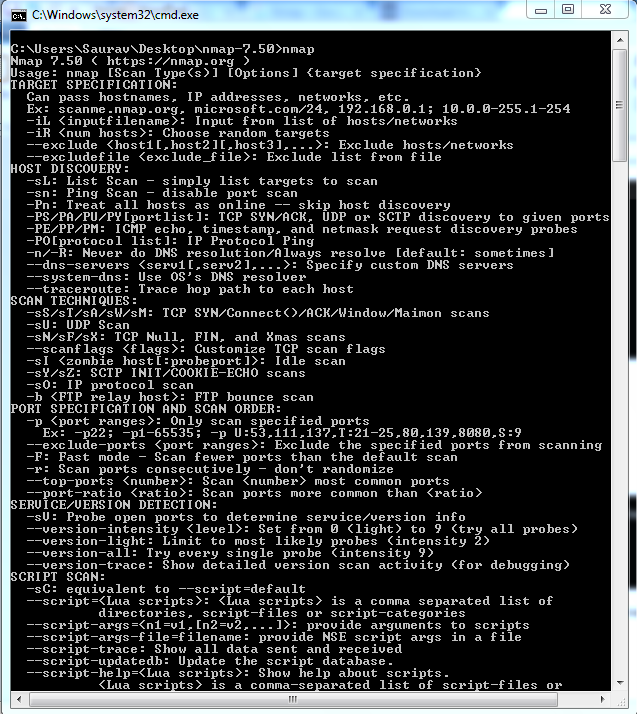 It is Character User Interface(CUI) / CLI (Command Line Interface) based tool. Zenmap is its Graphical User Interface(GUI) version. 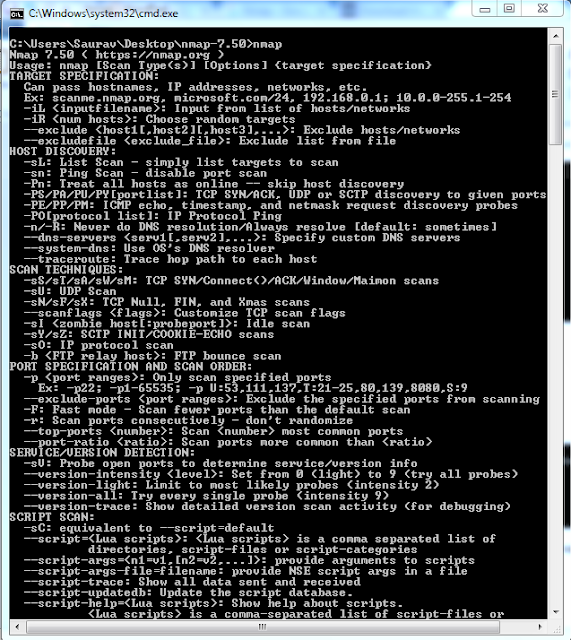 - Map out IP filters, firewalls, routers, and other obstacles. 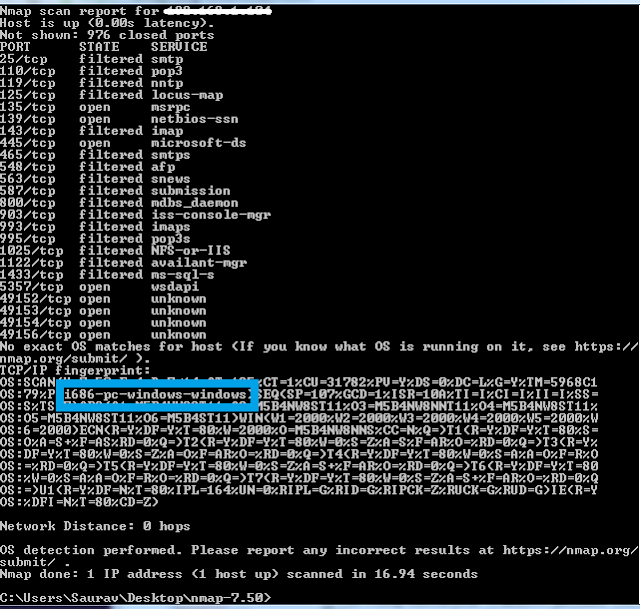 - Determine available(active) hosts on the networks. - Shows which Operating System(OS) is working in System. - It helps to find vulnerable point of OS and other too. 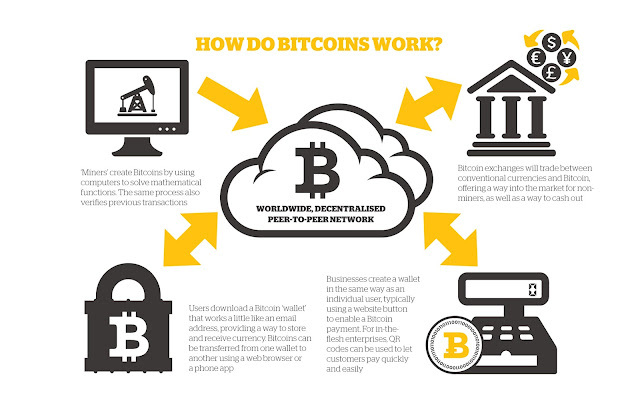 # How to use This tool ? 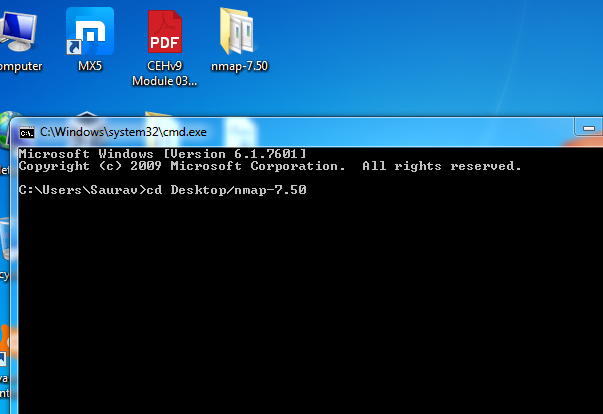 Step 2: Extract that folder in Desktop. (or your own desired directory). 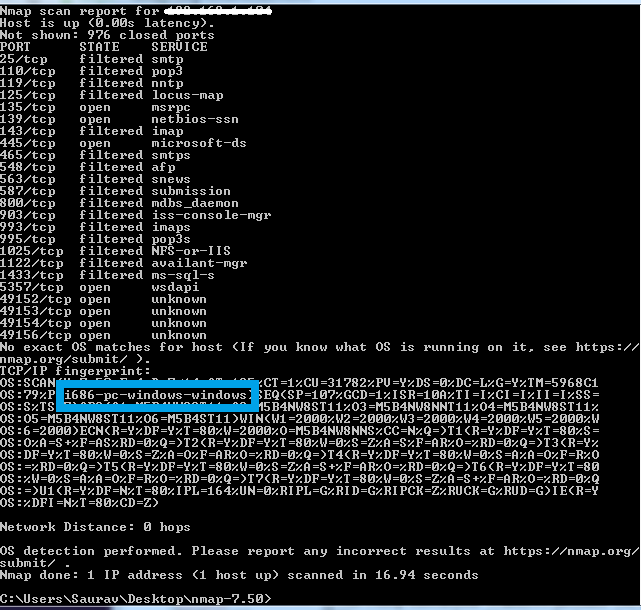 Step 3: Open Command prompt and go to nmap directory.